Thank you for purchasing from Mantra Lingua . Please take a moment to complete and submit this information. Registering your product allows us to better serve you and your dealer in the event that technical or warranty assistance is needed. 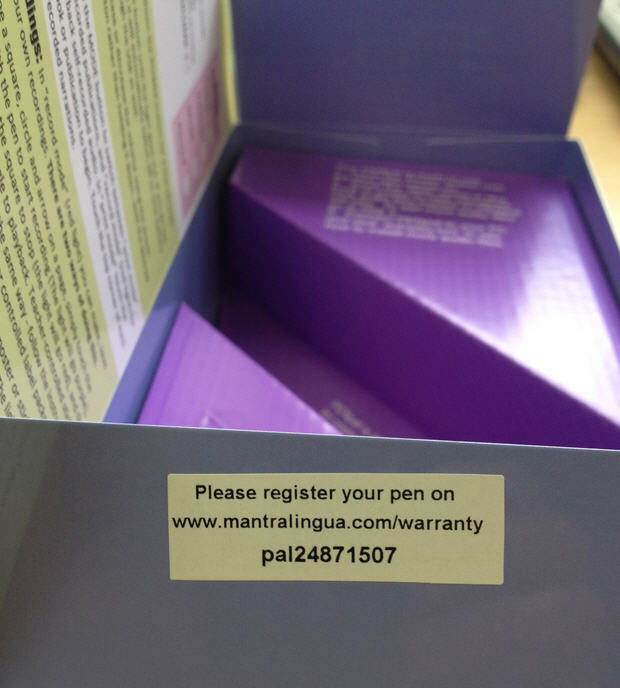 This information will be used for warranty verification or to contact you in the unlikely event of a product recall. Please note that the serial number is on a sticky label stuck on the packaging. Please see the picture below. The date of purchase can be approximate and will be used to calculate the guarantee figure, provided of course that the serial number is given.